There is something so special about the Penny Black animated stamps that I love so much. 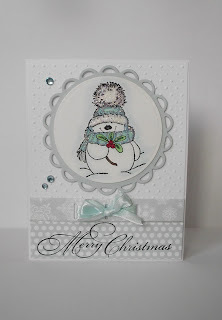 Here is a PB snowman with the paper from the Madison collection and a lot of Stickles! Thx for taking the time! Feel free to leave a comment, they always make me smile!